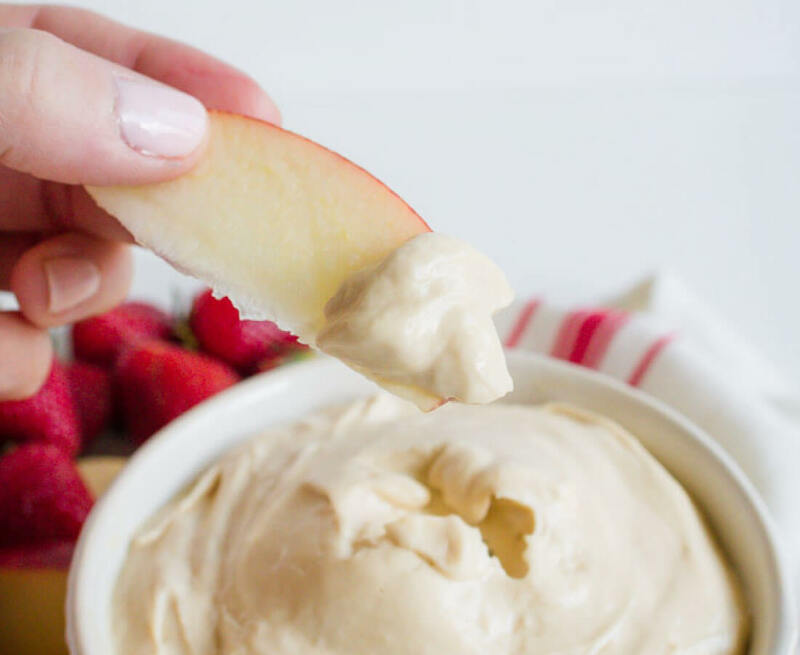 There’s nothing better than this creamy caramel apple dip! Mmmm mmm good. My mom makes divine caramel apple dip (I’ll have to share that recipe sometime- ok Mom?) 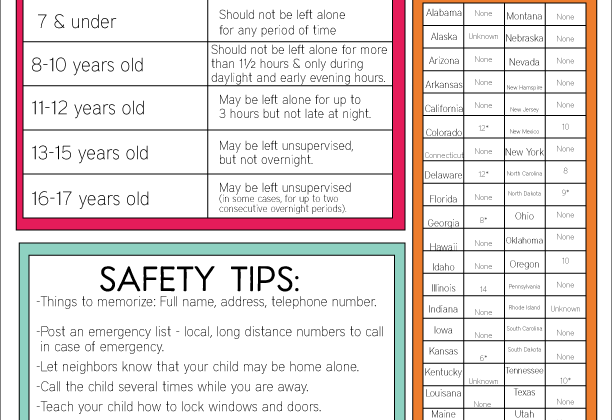 but today I made a slightly different version. 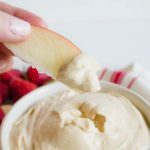 It’s a creamy caramel apple dip that tastes sooo good with some crisp apples. You don’t need much to make but and every time I do, it’s gone quickly. I’m not much of a chocolate girl but give me some caramel and I’m in HEAVEN. Because of that, I make lots of recipes with caramel in it. I used Fuji apples because that’s what I love. I’m not really a tart apple kinda girl. But they are admittedly sweet- so feel free to use whatever you like. 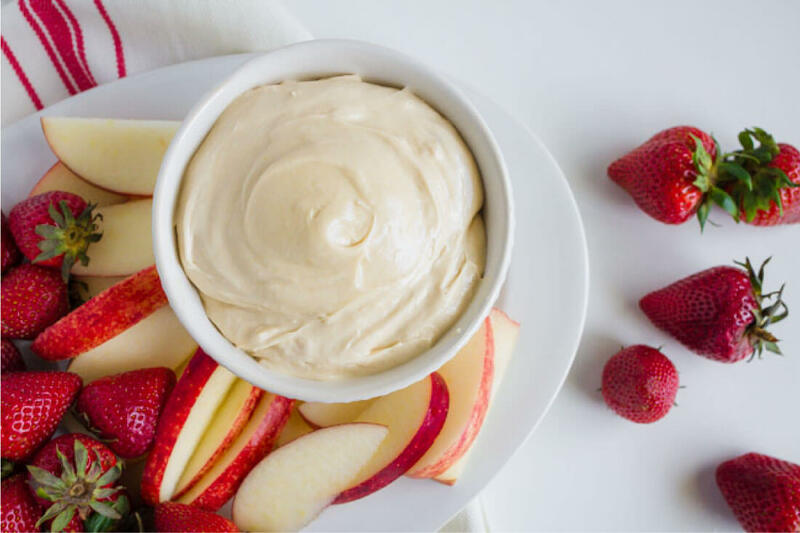 And this dip could really be used with any kind of fruit- not just apples. Although it does say it’s for apples, you can use whatever fruit you want with. 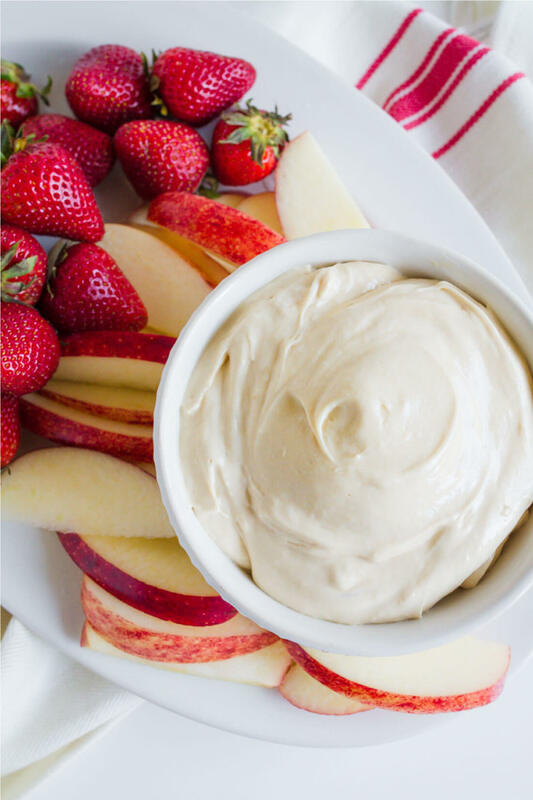 Apples just pair really nicely with this dip. 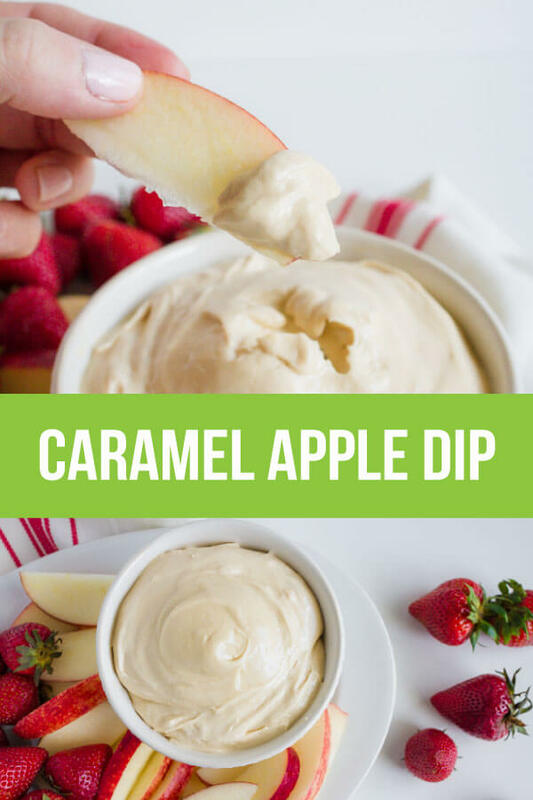 Simple and delicious Creamy Caramel Apple Dip recipe is the perfect sweet appetizer. You can use different fruits with it too. So good! 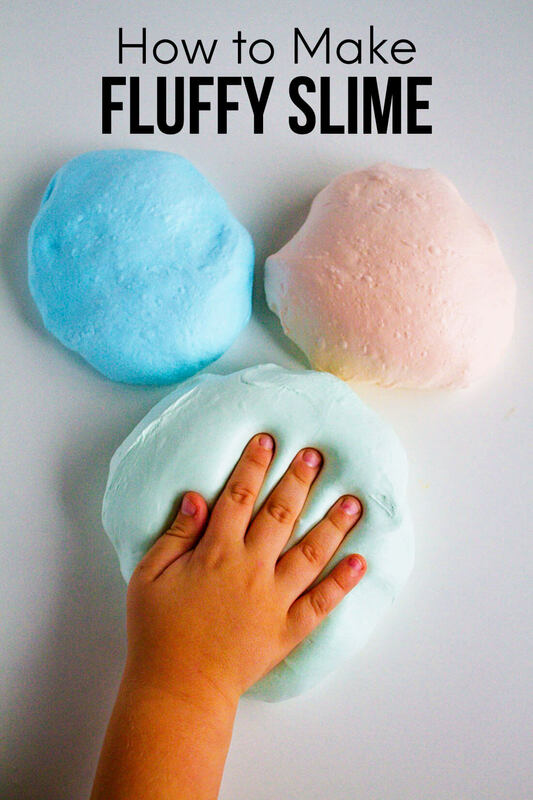 In a bowl, beat the cream cheese, brown sugar, coffee creamer and vanilla until smooth. Serve with cut apple slices. For an even more caramel taste, you can add ⅛ c caramel topping and ⅛ c coffee creamer. Or just ¼ c caramel topping in place of the creamer. This will become your go to dip!